We begin treating children usually around the age of 3. This is to allow all of the baby teeth to erupt into the mouth and is also approximately when the child is able to understand and cooperate with adult directions. 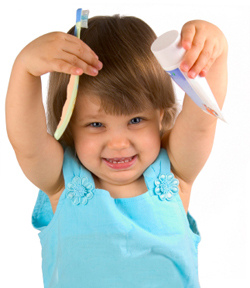 We can provide the full range of treatment from cleanings to fillings on children ages 3 and up. We additionally strive to provide a comfortable and inviting atmosphere for these youngsters as they embark on this new oral health experience.